Medical students spend a significant amount of time in school. Once a doctor has their M.D., or Doctor of Medicine degree, there’s one last thing to do before they can practice medicine: get licensed. In order to become licensed to practice medicine in the United States, doctors must pass the USMLE. Given in a series of three steps, this exam, administered by the National Board of Medical Examiners, is designed to test a physician’s knowledge and ability to provide appropriate medical care. If you’re planning on pursuing a career in medicine, keep reading to learn what you need to know about the USMLE exam. 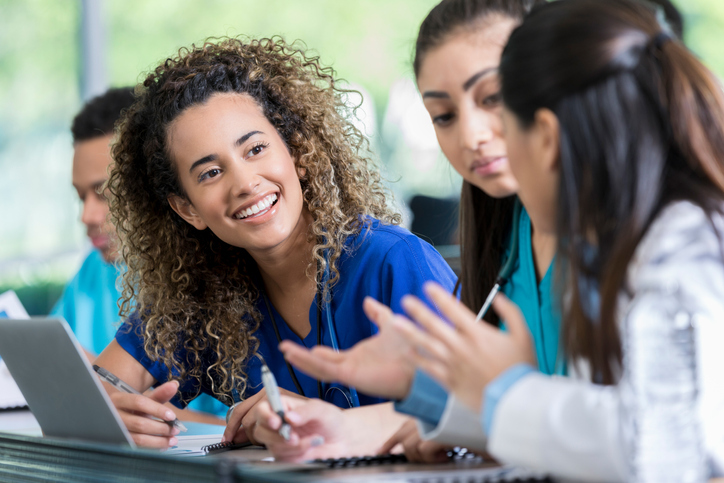 The USMLE is a three-step examination that tests what you’ve learned about providing appropriate medical care to patients. 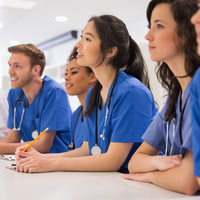 The USMLE is given at different times throughout a student’s allopathic medical school career. If you pass all the steps of the USMLE, you become eligible to apply for a license to practice medicine in the U.S. Step 1 of the USMLE is designed to assess whether or not you’re able to apply basic scientific concepts when practicing medicine. Most medical school students take it after their second year. This step incorporates practical questions about a number of subjects, including anatomy, behavioral sciences, microbiology, pharmacology, physiology, and others. Step 1 is given in eight hours on one day, and is divided into seven 60-minute parts. There is a maximum of 40 questions in each part—altogether, there is a maximum of 280 questions. Students are not allowed to retake Step 1 if they pass just to earn a higher score. This test costs $630. During the CK part of Step 2, you will demonstrate your basic clinical knowledge and skills throughout eight 60-minute blocks spread out over a nine-hour test day. In this part of the exam, you’ll answer multiple-choice questions that run through different medical scenarios that you must determine how to react to. Step 2 CK costs $630. Step 2 CS is an in-person exam where you see multiple actors who play roles as “patients.” When you see these patients, you must perform a physical exam, collect their medical history, diagnose any conditions he or she may have, and write a patient note based on your interaction. You’ll have 15 minutes for your patient encounter and 10 minutes to write your patient note. Step 2 CS costs $1,290 to take. This is the last part of the USMLE, and it’s usually taken upon a student’s graduation from medical school during their first year of residency. It tests your knowledge of medicine and ability to practice unsupervised. This is a two-day examination that covers a wide range of medical issues, from pregnancy and childbirth to behavioral and emotional disorders. Step 3 of the USMLE is held over two days. The first day’s test session lasts about seven hours, and includes 232 multiple-choice questions split into six 60-minute blocks of 38 to 39 questions. The second day’s test session lasts about nine hours and is split into six 45-minute blocks of 30 multiple-choice questions. The last part includes 13 patient case simulations that last 10 to 20 minutes each. This test costs $875. You must pass all parts of the USMLE in order to apply for a license to practice medicine. Each part of the test, except Step 2 CS, is weighed on a three-digit scale. The minimum passing scores are 194 for Step 1, 209 for Step 2 CK, and 196 for Step 3. Step 2 CS is scored as pass or fail based on your performance. After you pass all parts of the USMLE, you can request a transcript be sent to the medical licensing authority of your choice. If you can get through these many years of testing, it can pay off in the form of a rewarding career in medicine. Old Dominion University, Bachelors, History and French. George Washington University, Masters, Behavioral Science.